For young rock bands, the careers of a Radiohead or Pearl Jam have become cautionary tales that music biz folks can whisper into their ears. The moral of their similar stories? Turn your back on fame and you might live to regret it. Unlucky for Keane, however, what this British trio really needs is a calendar. They’re about three years too late. Muse’s 2003 record, “Absolution,” is already the greatest Radiohead album not recorded by Radiohead. But Keane’s “Under The Iron Sea,” certainly makes a valiant attempt. The album — the band’s second — emphasizes Yorke and company’s softer, melancholic side with epic aplomb but adds in healthy sonic helpings selected from U2 and Coldplay. That sounds like a recipe that will make any exec’s mouth water. The group apparently has close relations to the latter two of its musical touchstones. Keane opened several dates for U2 during last year’s “Vertigo” tour and according to the always reliable Wikipedia, Keane was called Coldplay for some time until they handed off the moniker to an acquaintance, Chris Martin. Keane repeatedly pays homage to its musical forbearers. So much so, it sometimes feels like a never-ending version of “Name That Tune.” The echo-y, wah-wah guitar that opens “Is It Any Wonder?” was boldly swiped from U2’s “Achtung Baby”-era hit, “Even Better Than The Real Thing.” Obviously, Keane hoped the song title would be prophetic, but in this case, it isn’t true. 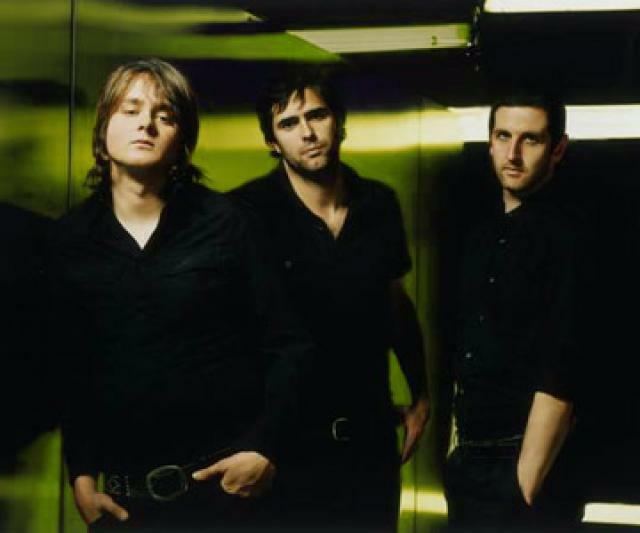 Vocalist Tom Chaplin sings a hook that you can’t help liking even if Bono gave him the blueprint. The song’s only advantage over the original is its snappier, Strokes-inspired drum beat. Come the next song, “Nothing In My Way,” the group is boldly playing up its Coldplay side with a pretty, pounding piano melody. Chaplin’s voice is brighter and fuller than Chris Martin’s but lacks the subtlety that the Coldplayer can inject into his vocal performances. Although Keane’s attempts to turn this record into a quasi-musical masquerade party — pretending to be one famous band and then another — they are clearly most comfortable cribbing from Radiohead. The influence is ever present. On “The Frog Prince,” Chaplin warbles an “ooooouuuuuwwww” that he picked up from Thom Yorke off Radiohead’s “You And Whose Army.” To underline the inspiration, the song’s melody features familiar plinking piano and guitar. We can give Keane credit for some original work. “Leaving So Soon” has a staggered, ascending vocal harmony. The album’s finest ambassador is “A Bad Dream,” that features an excellently understated melody. Choplin and the band’s other central figure, keyboardist Tim Rice-Oxley, harmonize as the cut swells to a lush bridge. Perhaps the most galling aspect of all this thievery is Keane’s Bono-style brazenness. The band shows no qualms with wanting to be rock’s biggest band. If they wanted to just ape someone else and make some dough, they could have pilfered from any number of bands that no one has ever heard of and made poppier versions of their tunes. No, Keane goes for rock’s ruling elite, hoping fans will be too dumb to see where all their goodies came from. “The Great Rock ‘N’ Roll Swindle,” indeed. But, if its any consolation, Keane might not end up being famous for what they hoped they would. Tags: "Under The Iron Sea", Keane, review. Bookmark the permalink.